Many children get stuck in the vicious cycle of recurring respiratory and ear infections around this time. Preschools and schools are favourite places for kids to share germs and viruses, leaving kids with low immunity and greater susceptibility to illness. Frequent use of antibiotics and over-the-counter medications is definitely not the answer as these can suppress your child’s immune system and in-turn make them more vulnerable to infection. The best way to break the sickness cycle and give your child super resistance against infections and other illnesses is to strengthen your child’s immunity with immune-boosting foods. 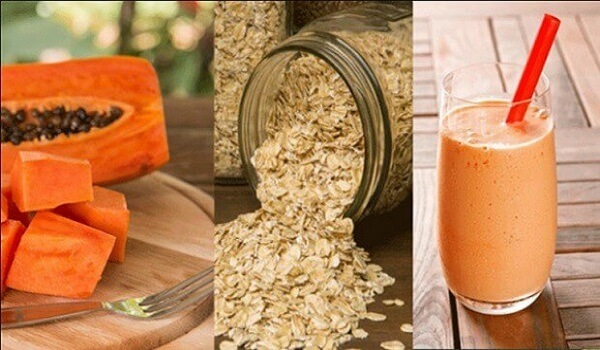 These foods possess unique immune enhancing compounds and immune strengthening nutrients such as vitamin C, A, D, zinc, iron and omega-3 fats. A deficiency in any of these nutrients can weaken your child’s immunity and increase their chances of getting sick this winter. One of the best ways to strengthen your child’s immune system this winter, to protect them from colds and flu, is to include garlic in their diet. Garlic is widely known for its immune boosting powers, having anti-viral and anti-bacterial activity. Garlic helps fight infections by stimulating immune cells and increasing antibody production. Garlic also possesses sulfur compounds that have potent antioxidant activity. Making garlic a regular addition to your child’s favourite meals like spaghetti and pasta dishes, soups, stir-fries, garlic bread and hummus, you will not only be strengthening their immunity, but also enhancing the flavour of their meal. TIP: To get the most out of your garlic serve it raw in dips and dressings, or when you add it to cooking add it in near the end so you don’t destroy too much of its immune enhancing antioxidants. Seaweed is considered a super immune boosting food and a highly nutritious addition to your kid’s diet. Seaweeds such as nori, kelp/kombu and akrame, contain extraordinary health-promoting compounds that help strengthen the immune system and reduce the risk of illness. Seaweed is also a rich source of minerals such as selenium and zinc, which are both important immune protective nutrients and antioxidants. The best way to include seaweed in your child’s diet is by adding small amounts to soups, salads, and stir-fries, or make some nori rolls. Kids love helping make nori rolls with their favourite fillings. You can also buy seaweed crackers which are great served with hummus. Yoghurt is considered a probiotic food as it contains ‘friendly’ bacteria, namely acidophilus and bifidus, that promotes the growth and health of beneficial bacteria in the bowel. Maintaining a healthy balance of beneficial bowel bacteria is a highly effective way to build and enhance your child’s immune function as a large percentage of our body’s immune system is found in the digestive tract. Kids love yoghurt served on porridge and breakfast cereals, and in smoothies. Try making healthy ice creams for your kids by mixing fresh berries or other fruits through vanilla yoghurt and pour into icy pole moulds. TIP: Make sure your kids are getting the most out of their yoghurt; look for the ‘live and active cultures or bacteria’ seal on the yoghurt you buy. Also watch out for yoghurts that contain high levels of added sugars, some contain up to 5 tsp of sugar in a small tub. Too much sugar in the diet will have a suppressive effect on your child’s immune function. Bright, beautiful berries are one of your best sources of protective antioxidants and immune boosting nutrients, making them an excellent addition to your child’s diet this winter. The rich red, blue and purple colours of berries indicates the presence of super high levels of anthocyanins, which is a powerful antioxidant that helps protect your kids from illness and disease. 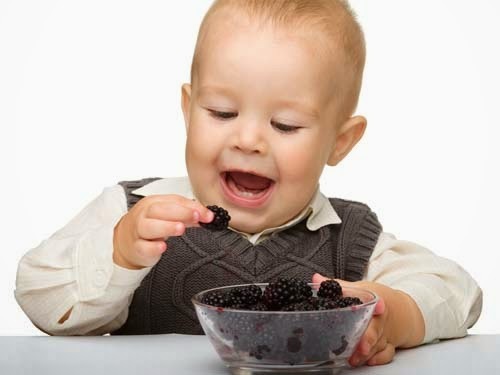 Berries are also a brilliant source of vitamin C, to help bolster your child’s immune system and reduce the risk of infections. Add a handful of mixed berries to your child’s porridge or breakfast cereal, mixed through yoghurt or in smoothies, or as a delicious healthy snack on their own. TIP: Acai berries have 42 times the antioxidant concentration of blueberries. Try adding a tsp of Acai berry powder or puree to your child’s smoothies or fresh juices. Serving your kids broccoli is a fantastic way to improve their health and give them protection against illness. Broccoli is an excellent source of vitamin C, which your kid’s need to give their immune system a boost and to ward off colds and flu. Broccoli also provides your child with selenium, an important trace mineral that has potent antioxidant and immune boosting powers. Broccoli also contains natural sulfur compounds that help boost your child’s ability to detoxify harmful toxins in the body and reduce the risk of chronic disease. Serve broccoli to your kids in fun and tasty ways such as lightly steamed broccoli florets served with hummus or other healthy dips, broccoli with melted cheese, or blended or finely chopped through pasta sauces and soups, or added to individual vegie frittatas. TIP: To get the most health benefits from your broccoli don’t over cook it. One of the best things you can do for your kid’s health is to have a couple of good servings of green leafy vegetables each day. They are rich in immune boosting nutrients and antioxidants. Many green leafy vegetables, especially spinach and Swiss chard, are good sources of iron. Children need iron to build a healthy immune system and for the production of white blood cells and antibodies. Without sufficient iron, we are more likely to suffer from frequent colds and infections. Green leafy vegetables are also rich in beta-carotene, an antioxidant vitamin that is converted to vitamin A in the body, and used to help strengthen immune function and offer protection against illness. Miso, made from fermented soybean paste, is an easy way to help enhance your child’s immunity during the colder months. Added to your kids’ favourite winter soups, casseroles, mashed potato or stir-fries, miso is highly nutritious and a great way to add flavour to meals. Unpasteurised organic miso contains active lactobacillus, a ‘friendly’ bacteria that helps promote the proliferation of beneficial bacteria in the bowel, which plays a major role in your kids immune health and digestion. Miso is also a good source of zinc, needed for strong immune function. TIP: The beneficial bacteria present in unpasteurized miso are killed by prolonged cooking at high temperatures, so add miso to preparations just before removing them from the heat. Salmon is one of the best sources of healthy omega-3 essential fatty acids. These beneficial fats are vital for your child’s good health and are needed for a strong functioning immune system. Salmon will also provide your child with plenty of zinc, which is an important mineral for giving their immune system a boost. Oily fish like salmon are good sources of vitamin D, which is another important vitamin for enhancing your child’s immunity. Sunlight is the easiest way to get sufficient vitamin D, however during the winter months is can be difficult to get sufficient vitamin D from sunlight alone, so increasing vitamin D-rich foods like salmon is recommended. Aim to give your kids two to three servings of salmon a week. Try making your kids some mini salmon fish cakes with a dipping sauce or on a healthy burger, or salmon pasta or risotto. Red tomatoes are known for being the richest source of lycopene around, which acts as a very powerful antioxidant to protect you from damaging effects of free radicals, and to help to bolster your child’s immunity. Tomatoes contain plenty of vitamin C and beta-carotene to strengthen your child’s immune function to protect them from infections. Tomato based pasta sauces are an ideal way to introduce tomatoes into your child’s diet. TIP: Hold off until your child is around 8 months old before introducing tomatoes as they can cause nappy rash in some babies. Spirulina, a type of fresh water algae, is highly nutritious and possesses many outstanding health-promoting properties that can give your children a nutritional edge and protect them from illness. Spirulina will help boost your child’s immune function and improve their ability to fight-off infections. Spirulina will give your kids a good dose of iron, zinc, vitamin A and D, that will strengthen their immune systems. This super food is also one of the best sources of gamma-linolenic acid (GLA), an omega-3 essential fatty acid that is also found abundantly in mother’s milk, which is important for children’s growth and development as well as exhibiting immune boosting properties. Spirulina can help improve your child’s intestinal health, by providing mucopolysaccharides that help support the growth of beneficial intestinal flora, and hence boost their immunity and digestion. Spirulina is easy for kids to take either in tablet or powder form, mixed with some juice or in smoothies. Kids of all ages can be given around 2g of spirulina daily. Try this tasty blend - 1 frozen banana, 1 cup of pineapple juice, 1 cup of orange juice and 1 teaspoon of spirulina (serves two).